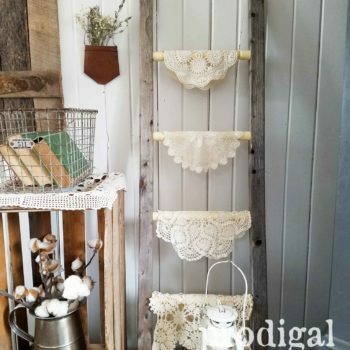 Earlier this week, I showed you my farmhouse metal art that came from repurposing a couple of quirky thrift store finds. 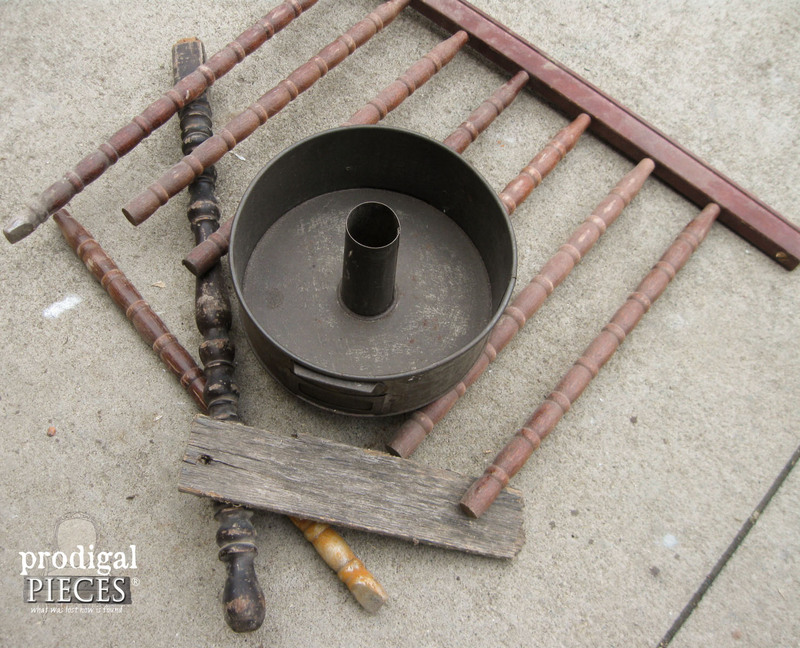 At that time, I promised I would show you what I did with the other antique table leg I had left of a set. 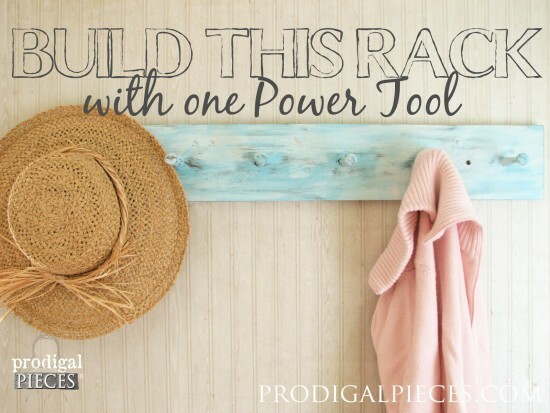 Here is my stash for today that I’m going to turn into an Easter cross (since the glorious holiday is fast-approaching), and because it’s Power Tool Challenge time! Woot! 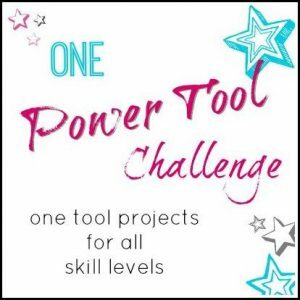 Check out the end of the post for my blogger friend’s projects too. Fall is just around the corner and it’s one of my favorite seasons. For me, living in farm country, it means harvest time! All the wonders of creation performing their grand finale and we get to reap the benefit of such splendor. There’s nothing like a cup of hot cider on a cool fall evening, a hearty pile of pumpkins, or a long hayride with our loved ones. 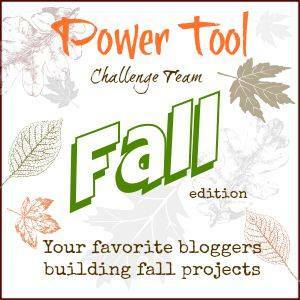 That’s what I envisioned when deciding what to create for this month’s Power Tool Challenge. 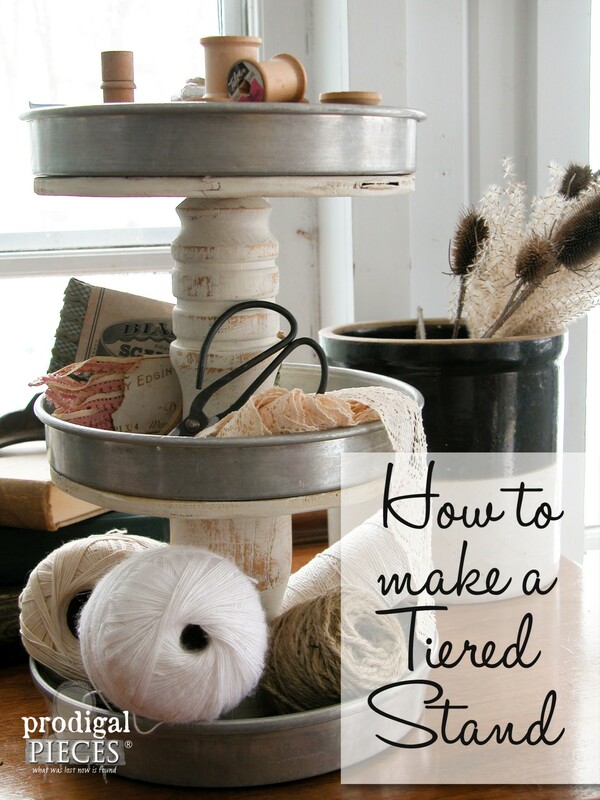 (there’s all sorts of DIY goodies for you at the bottom of this post!) 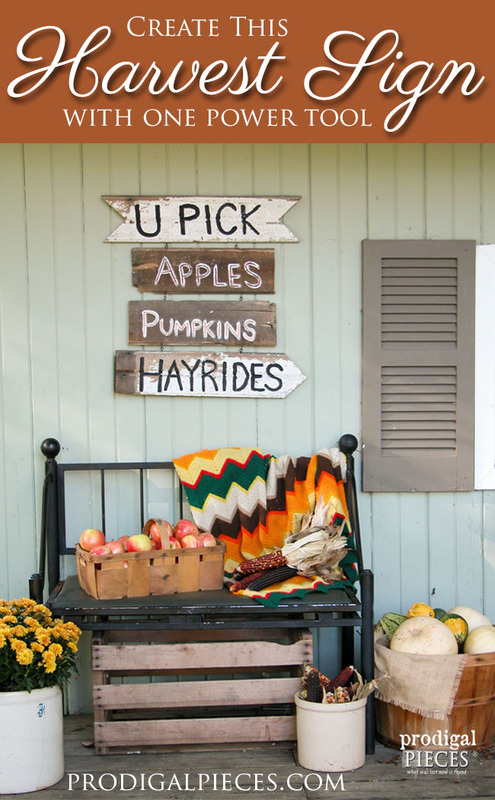 Here is my treat to you, a fall harvest sign. 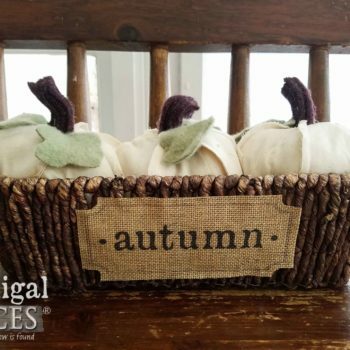 For my project, I wanted a rustic harvest sign that would bring back memories and also create them too. 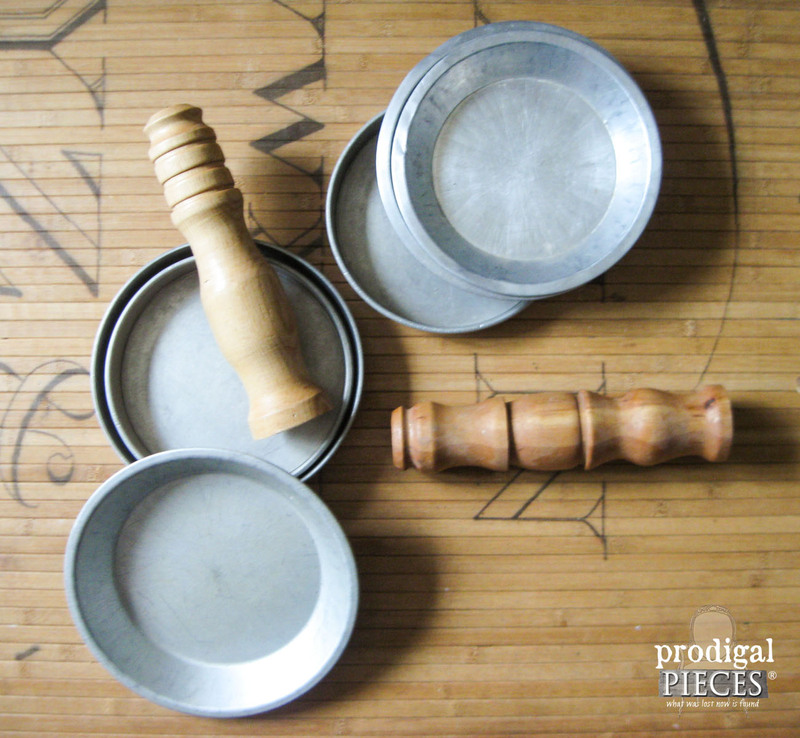 For this project it’s all about the drill…one of your most basic tools that your average household should not be without. Why? Because it has endless uses for a homeowner from tightening up door hinges to building this coat / towel rack I’m going to show you how to DIY today.